What words have long "A" sounds? This word search will help your child improve his reading skills as he grows familiar with the vowel sound of the long A.
Pique your little chef's interest in words with this fruit and vegetable word search. Give your child practise with the long I sound. This printable worksheet will improve his reading as he completes a word search. Put a little fun back into phonics practise! Find all the long "e" words in the puzzle. This football-themed word search is a great way to help score a touchdown in spelling and sports vocabulary! Looking for a colorful way to get her ready for reading? 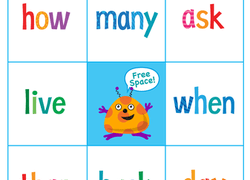 This printable bingo game contains some built-in sight words that are important for first graders. This space-themed word search will bring your student's vocabulary and spelling skills to stellar perfection. Next stop, NASA! Identify all of the words associated with soccer hidden in this word search. 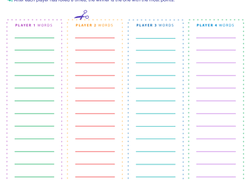 This year 2 printable game packs reading, spelling, and vocabulary practise into one. Players roll the dice, then spell a word using the letters rolled. Complete a maze by drawing only through correctly spelled wh- words: who, what, where, why and when. 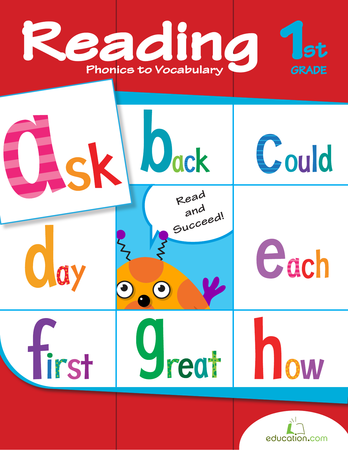 Searching for a worksheet that will help your child practise his spelling skills? 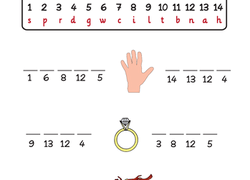 This printable phonics worksheet is all about words ending in -ng and -nd. Attention all animal lovers! Here's a great word search for you and your child to enjoy! Try to find all 10 of the different pet terms in the word search. 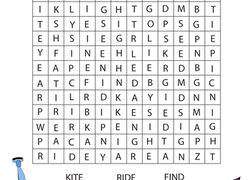 Find the words that begin with the letters B, C, D, and E in the alphabet word search. First graders will learn to read words beginning with these letters. Though your child may know more about computers than you do, give him a fun activity where he can learn computer-themed words with a word search! Who knew you could play a game with dice that helps your 1st learn to read? 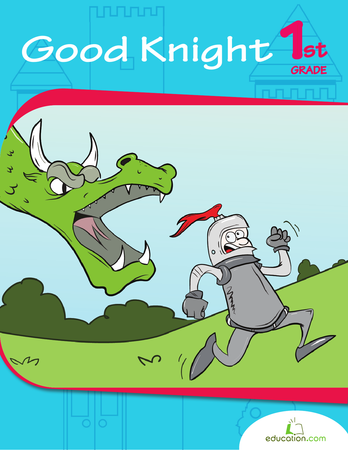 Try this game that will have your child rolling his way to better reading skills.